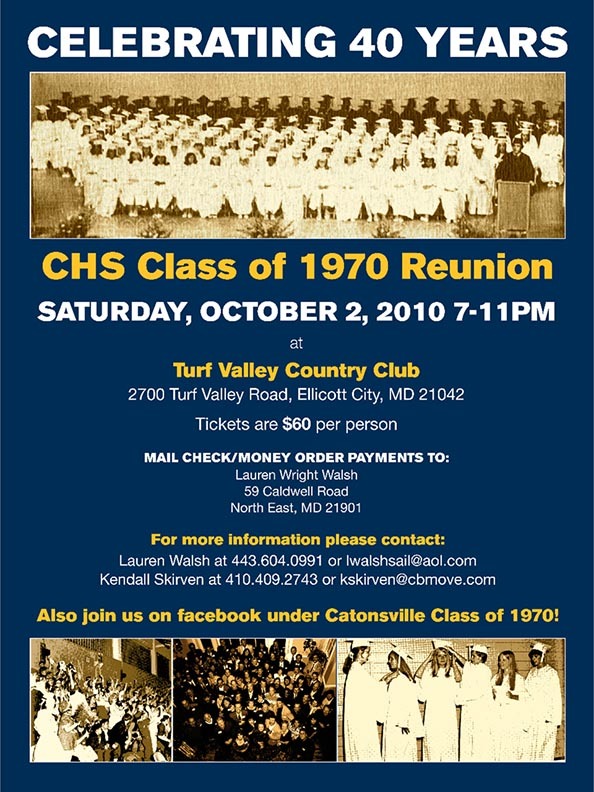 The Catonsville High School Class of 1970 is celebrating their 40th Reunion on Saturday, October 2, 2010 7-11 PM at Turf Valley Country Club. Tickets are $60 per person, which covers a DJ, great food, and one hour open bar. Turf Valley has blocked several rooms at a rate of $155-165. To reserve a room, call (410) 465-1500 or (888) 833-8873 and mention the Catonsville High School Class of 1970 40th Reunion on 10/2/2010.